Pfc. 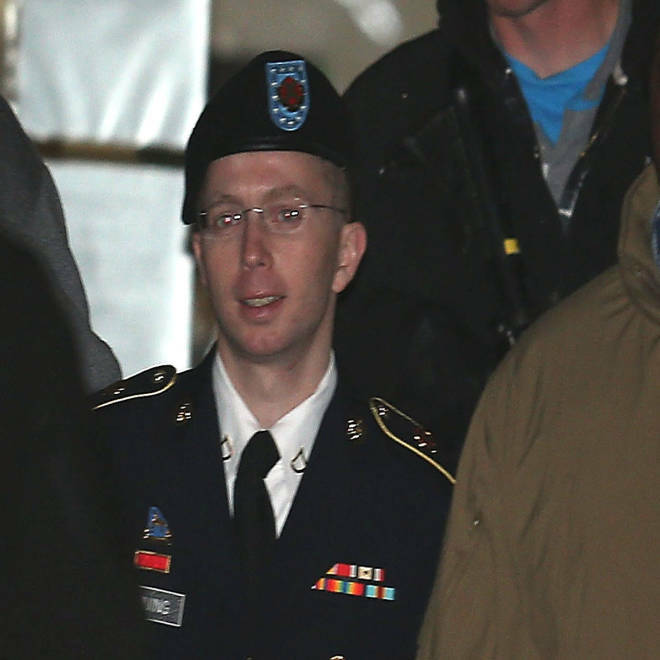 Bradley E. Manning is escorted from a pre-trail hearing on Tuesday in Fort Meade, Md. Manning is accused of sending hundreds of thousands of classified Iraq and Afghanistan war logs and more than 250,000 diplomatic cables to the website WikiLeaks while he was working as an intelligence analyst in Baghdad in 2009 and 2010. Staff at the Quantico brig kept Army Private First Class Bradley Manning on restrictive lockdown during his time there because they were erring on the side of caution, according to testimony given Wednesday by the base's then-security battalion commander. The second day of this week's hearings are underway in the case against Manning, who is charged with leaking thousands of pages of classified documents to the website WikiLeaks. This week's hearings cover a motion filed by the defense claiming that the charges against Manning should be dismissed because his confinement conditions were egregiously harsh while he was held in the Quantico brig between July 2010 and April 2011. Pfc. Manning was held on 23-hour lockdown in a small cell. For several days, the defense said, had his clothes taken from him at night. This morning, the court heard a portion of testimony from Col. Robert Oltman, who commanded the security battalion at Quantico while Manning was held there. Manning's defense attorney David Coombs pressed Oltman on a number of email exchanges and meetings Oltman had with Quantico leadership and with the psychiatric staff there. Manning's defense argues in its motion that the Quantico leadership was overly concerned with the Army private, in part because of the media scrutiny surrounding the case and in part because another detainee at Quantico committed suicide just months before Manning's arrival. During his time at Quantico, Manning remained classified as a maximum-security prisoner and as a risk to his own safety, despite recommendations by the psychiatric staff that Manning was no longer a risk to himself. After Manning was transferred to the Army prison at Fort Leavenworth, Kansas, he was placed in a medium-security facility with far fewer restrictions. Col. Oltman testified that he was aware of the psychiatric staff recommendations but that their views were only one part of a larger assessment of Manning's status. The brig staff erred on the side of caution, Oltman said, because Manning arrived at Quantico as a suicide risk and none of his behavior with the brig staff indicated he had changed. Oltman's testimony will continue when court reconvenes.